Amanah’s Dzulkefly Ahmad says many Malaysians want to see them put the past behind and move forward together to save the country from the present administration. 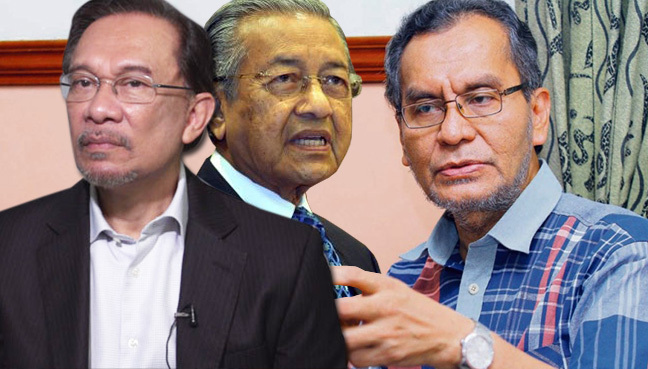 PETALING JAYA: Former prime minister Dr Mahathir Mohamad and his former protege Anwar Ibrahim could unleash a ‘Malaysian Tsunami’, bringing much needed change to Malaysia, Amanah Strategy Director Dr Dzulkefly Ahmad said. Speaking to FMT on the meeting between the two former Umno stalwarts earlier this week, Dzulkefly said the meeting could be a catalyst for change which many Malaysians, especially the pro-change Malay voters, longed for. He said people wanted change as the executive branch of the government had reached the height of arrogance. He said change was not impossible in the next general election. Dzulkefly said he was confident that many Malaysians wanted to see the two statesmen put the past behind them and move forward together to save the country from the current leadership which had caused much hardship to the people. On Monday, Mahathir made an unscheduled visit to a High Court hearing in Kuala Lumpur on the urgent application by his former nemesis Anwar, to suspend the coming into force of the controversial National Security Council Act. Mahathir, who left Umno earlier this year, shook hands and briefly exchanged pleasantries with Anwar in the witness room. It is believed that it was the first time both Mahathir and Anwar had met after a lapse of 18 years.